In 2015 after returning from a team social using large amounts of bait, we put pen to paper to develop a spoon type product. This was designed for use in conjunction with our bait dispensers to efficiently speed up baiting with the minimum of mess. When the design was finalised, we invested in CAD drawings and sent them to a government funded university. 3D printed prototypes arrived a few weeks later and scooop was ready for field testing on the bank. 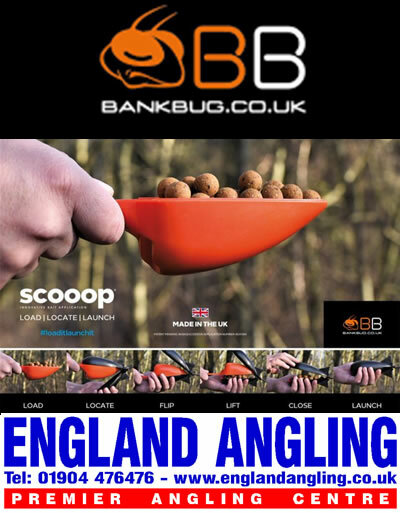 Shortly after we received the prints, Bank BUG acquired the company Baitcraft; due to this, unfortunately the development of scooop was put on the back burner and filed as a future product. Spomb not included and is shown for illustrative purposes only.